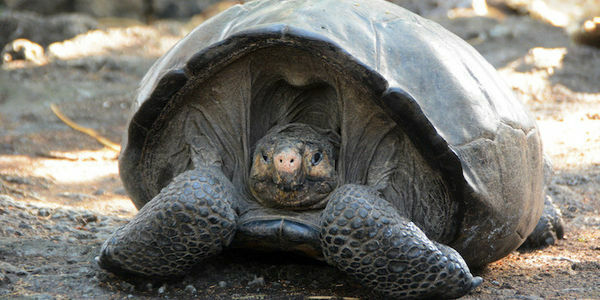 petition: Stand with Us to Protect the Galapagos Islands' Giant Tortoises! One of the Galapagos Islands' oldest mysteries has been solved! This past February, researchers from Galapagos Conservancy and the Galapagos National Park discovered a living female giant tortoise on Fernandina Island. This exciting find was the first confirmed tortoise sighting on the island in 112 years — and is one of the most important developments in giant tortoise conservation in decades. We immediately transported the tortoise, who is old but in good condition, to Santa Cruz Island to allow further study. Currently, Galapagos Conservancy, the Galapagos National Park Directorate, and our other partners are carrying out DNA testing to confirm that this tortoise is a true descendent of the original Fernandina tortoise species. We're also preparing an expedition to search Fernandina more extensively for more surviving tortoises. The Island has never been fully explored due to its imposing terrain of razor sharp volcanic rock. This is one of the most ambitious endeavors in the history of Galapagos conservation, and its success depends on the involvement of dedicated friends like you. Please sign this pledge so that we can build on the momentum generated from this rare discovery and recover the long-lost Fernandina tortoises. YES, I want to be a part of this historic effort to recover the long-lost Fernandina giant tortoises! I'm adding my support for Galapagos Conservancy to rebuild a thriving tortoise population on Fernandina Island.